Welcome back! We are excited to share a couple of more date ideas based on the most romantic and sensual book in the Bible–The Song of Solomon. I love the idea of making the grass of the field your couch and the surrounding trees the beams of your outdoor dining room. Depending on where you live this room will look differently. 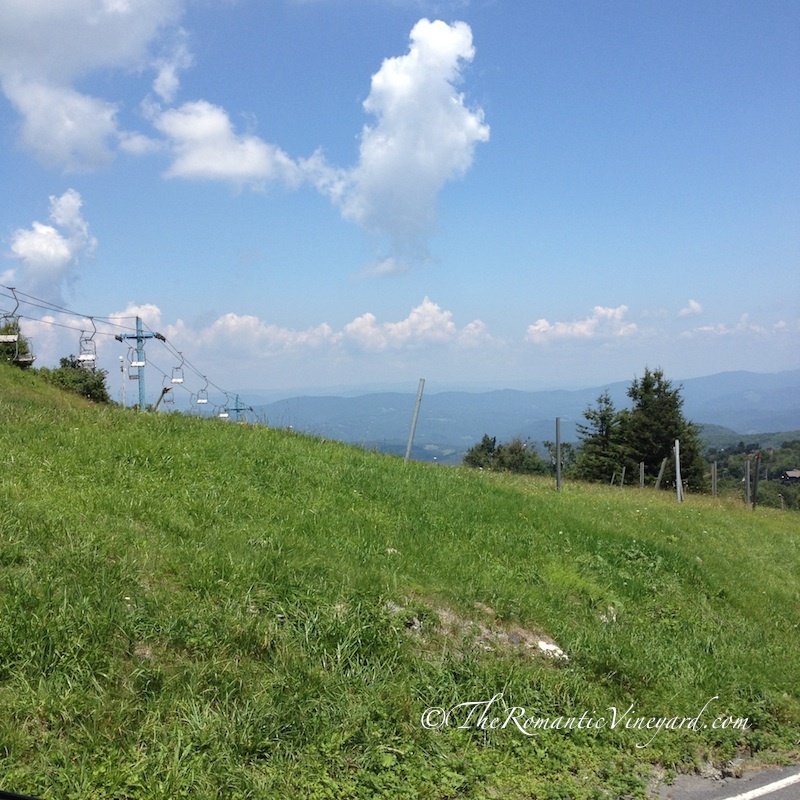 Tom and I enjoyed the most amazing location for this type of picnic while visiting Beech Mountain, NC, last August. The picture at the top was our view, and we still talk about that day and how special it was. Do some research and find a hiking trail that leads to a place with a great view. Unpack your blanket and lunch, then take in the beauty of God’s creation and most of all His pleasure in giving you the gift of each other to share such a day like this together. Be sure to take some great photos too. You most likely will still be talking about this one years from now. Years ago we traveled to Sequoia National Forest in Central California. We took a trail and enjoyed walking among the giant trees that were centuries old. It was breathtaking, and I’m not talking about the steep incline. We also ended up with quite a story of our adventure in the great outdoors. I’ll post about that another time. Those who literally are willing to step out of their comfort zone to do something together that is out of the ordinary, may discover your intimacy deepens in the process. We know because we’ve done this many times. I’ve learned to trust Tom’s lead when he’s in his element, and I’m not. There’s nothing like fresh air and God’s mountains to refresh and invigorate your passion for one another. What’s the highest elevation near you? Have you ever gone there to discover the view? In Florida, we are definitely limited when it comes to elevation, but we do have the Ponce Inlet Lighthouse that offers an amazing view of the Inlet. This entry was posted in Christian Marriage, Creative Dates, Date Night Ideas, Dating Your Spouse, Growing Strong Marriages, Outdoor Dates, Romance in Marriage, romancing your spouse, romantic date nights, Romantic Ideas, Summer Date Ideas, Travel, Vacations and tagged Central California, Creative Dates Inspired By The Song Of Solomon, English Standard Version, Florida, God, Intimate relationship, Sequoia National Forest, Solomon, Song of Solomon, Vineyard. Bookmark the permalink.